Do you have gate problems? Call Gate Repair Redmond right now! Our technicians can troubleshoot the gate and tell you what's wrong. We offer maintenance service and same day emergency gate repair. Get in touch with us! You can either call or send a message! Don't hesitate to ask questions! 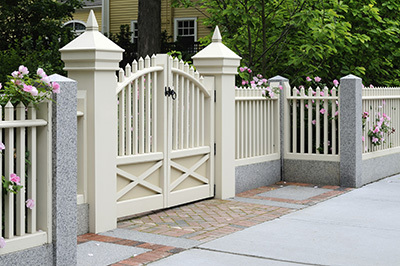 Ask Gate Repair in Washington for a quote for our repairs and schedule an appointment for the installation of a new gate. We install new gates, intercoms, parts and operators. Our professionals fix hinges, posts, tracks and all problems. Is your gate stuck? Let us find out why and repair it! Contact us now! Write us a note saying what your current needs are or call to ask for our assistance right now!